NBR stands for Nitrile Butadiene Rubber or Acrylonitrile Butadiene Rubber or Buna-N or Perbunan. NBR is produced in an emulsion polymerization system. The water, emulsifier/soap, monomers (butadiene and acrylonitrile), radical generating activator, and other ingredients are introduced into the polymerization vessels. Water serves as the reaction medium within the vessels. The emulsion process yields a polymer latex that is coagulated using various materials (e.g. calcium chloride, aluminum sulfate) to form crumb rubber that is dried and compressed into bales. NBR requires formulating with added ingredients such as typically reinforcement fillers, plasticizers, protectants, and vulcanization packages. 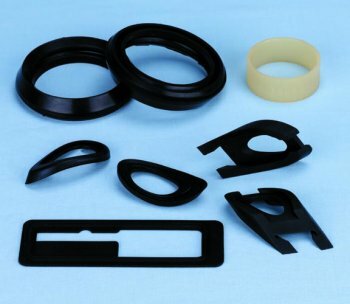 Processing includes mixing, pre-forming to required shape, application to substrates, extrusion, and vulcanization to make the finished rubber article. Mixing and processing NBR are typically performed on open mills, internal mixers, extruders, and calenders. By selecting an elastomer with the appropriate Acrylonitrile (ACN) and butadiene (BD) ratios in balance with other properties, the rubber compounder can use NBR in a wide variety of application areas requiring oil, fuel, and chemical resistance. 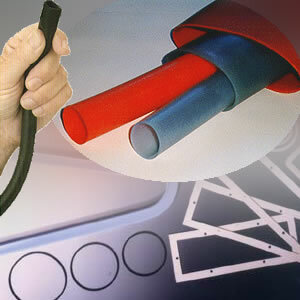 In the automotive area, NBR is used in fuel and oil handling hose, seals and grommets, and water handling applications. With a temperature range of –40C to +125C, NBR materials can withstand all but the most severe automotive applications. On the industrial side NBR finds uses in non-latex gloves, synthetic leather, cable jacketing, roll covers, hydraulic hoses, conveyor belting, graphic arts, oil field packers, O rings, gaskets and seals for all kinds of plumbing and appliance applications. loans online . But at the same time, it acts only with sexual arousal. Viagra has a number of advantages in comparison with injections in the sexual organ or other procedures aimed at treatment of impotency.